The time clock is an integral part of most businesses. It helps keep track of work hours so you can pay employees accordingly. Whether your business has one or 100 employees, you will need a time clock that fits your unique needs…and is preferably the best time clock for small businesses. Unfortunately, not all time clocks are created equal. The solution that’s right for a large business may not work well for a small business. Luckily, the experts at Sling are here to help you find the one that works best for you. Combination manual and computer time clocks. We’ll also show you why a scheduling app with an integrated employee work hour tracker is often the best time clock for small businesses. 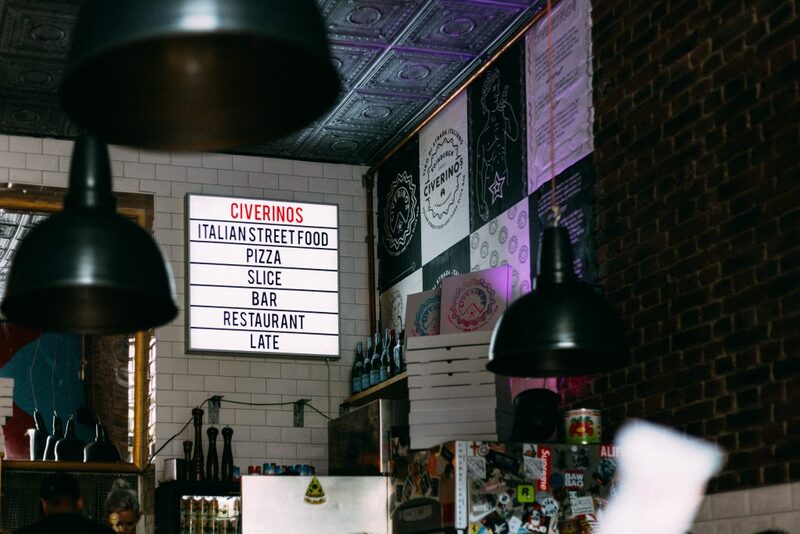 Time clocks for small businesses can take many forms. From traditional clocks that print time in and time out on a paper card to high-tech biometric time clocks that store their data in the cloud, there’s a solution for every business. We’ll start with the most basic: the manual time clock. The simplest and most widespread solution for small businesses is the manual time clock. 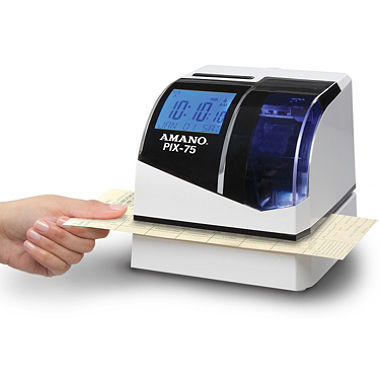 Whether you choose an analog model or a digital model, the concept is the same: employees use thick paper cards to “punch in” and “punch out.” The clock prints the respective time. Manual time clocks have been around for a long time and are easy for employees to use. But there’s a large amount of work required on the back end. You must collect the cards, transfer the data to another program, and then calculate work hours and employee wages. This system leaves significant room for error. That’s why a scheduling suite of tools with an integrated time clock, like Sling, is often the best solution for small business. We’ll discuss the benefits of this employee management tool in a later section. Military or regular print style. Minutes, hundredths, and tenths printing for accurate calculation. 13 pre-set messages such as sent, filed, and received. Like the analog time clock mentioned above, this unit involves substantial back-end work. For example, you’ll need to verify that your employees worked according to their shift schedule. The time clock feature from Sling is integrated into the scheduling software so you can quickly and easily confirm that everyone worked their appropriate shifts. Accommodation for up to 500 employees. Storage for up to 200,000 transactions. Ability to display five shifts (including overnight). Early and late punches printed in a different color for easy calculation. Access to files using Microsoft Excel on your computer. Payroll, schedule verification, and data capture are made easier with this solution thanks to USB-compatibility and easy software integration. But this option still doesn’t provide the tools necessary to fully streamline the scheduling, hour tracking, and payroll processes like the time clock and shifts features offered by Sling. The Icon RTC-1000 time clock is another combination manual/software tool that can be beneficial for both large and small businesses. Using an ID number that is adjustable from three to nine digits, employees can clock in, clock out, and view the number of hours they worked by the day or the week. Three levels of overtime: daily, weekly, consecutive day (i.e., California Overtime). Paid break, lunch deduction, and holiday hour tracking. Custom alerts that allow you to monitor and control unauthorized overtime and attendance. Tracking up to 250 employees. Data export to ADP, CSV, and API formats. These combination manual/software time clocks are getting closer to becoming a true time-saving solution, but they’re not quite there yet. Ability to broadcast messages to all users. Onscreen display of short private messages for a single user. Configurable work codes that allow users to input clock-in/clock-out reasons. User capacity might not be a consideration for most small businesses, but will your business stay “small” forever? Wouldn’t it be nice to have the ability to expand your time clock solution for any number of users? And while 10,000 employees is a lot, it’s still limited. It may take you a while to reach 10,000 employees over multiple locations, but what happens after that? The best time clock for small businesses (or large businesses, for that matter) should allow for an unlimited number of employees. Sling does that. No more worrying whether your new hire will exceed the maximum-user limit. You can’t put a price on peace of mind. 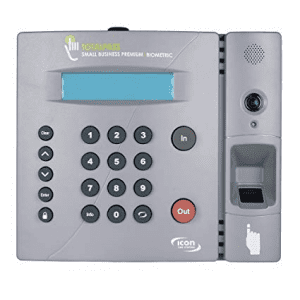 The Icon TotalPass time clock uses proximity sensors to record employee attendance from a distance. Employees simply wave their badge across the face of the unit to clock in and out. The Icon TotalPass also accepts PINs and even biometric data (with an optional add-on). 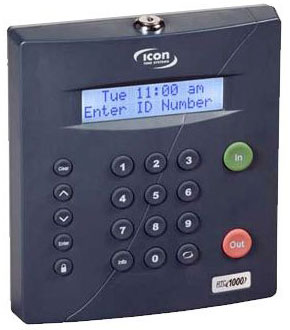 The Icon TotalPass connects to your computer system via USB, local area network, or Wi-Fi to record clock-in information for up to 500 employees. You can even link up to 32 time clocks over LAN, WAN, VPN, or internet for greater flexibility and utility. This gives business owners an effective tool to optimize performance. The units are self-contained and designed for small business, and they include all the software you’ll need built into the device. That means you’ll never have to install software again. The time clocks even instantly detect Wi-Fi networks on boot-up, allowing you to connect within seconds. In addition, the TotalPass software includes report options that are simple to run and modify. And the self-enrollment technology allows employees to input user information without the aid of a manager. 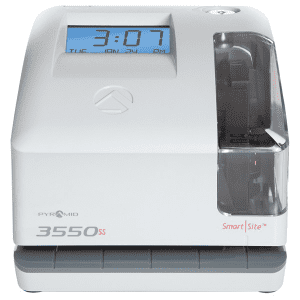 If you need to stamp documents as well as time cards, the Pyramid 3500 Time Clock & Document Stamp may be the solution you’re looking for. 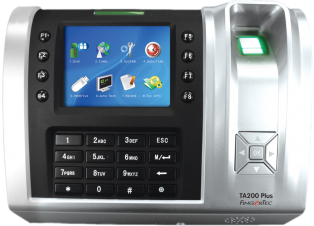 The 3500 also offer a side-loading time card and document feed to accommodate left- or right-hand printing orientation. And the automatic time adjustment feature means you don’t have to reset the clock for short months, leap years, or daylight savings time. The uPunch HN3000 is designed with your small business in mind. 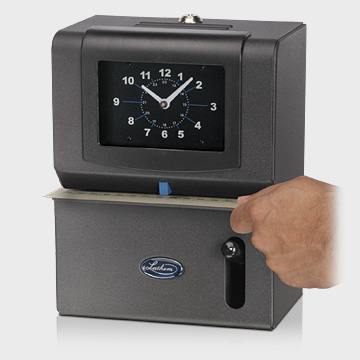 With a standard six-punch-per-day capacity, this time clock is an affordable and precise way to track employee punches and attendance. You can use the uPunch as a stand-alone time clock or link it to their cloud-based software for an even easier solution to tracking hours and producing reports. 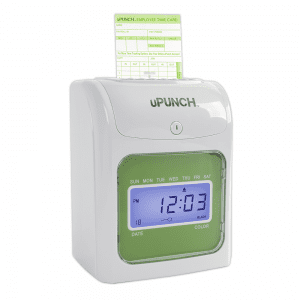 The uPunch HN3000 instantly identifies late employees by marking their punch-in time in red. That way, you’ll know at a glance who’s been on time and who’s been late. You can even schedule up to 12 alarms each day to indicate break and meal times or to announce the end of the workday. And with the option to manually enter employee time-card data into a free online account that is accessible from any internet-connected device, you have the power to work anywhere, anytime with just the click of a button. After you’re finished entering the time card data, you can use the advanced pay period reports, daily and weekly overtime tracking, and the ability to export to payroll systems to further streamline your time-tracking activities. 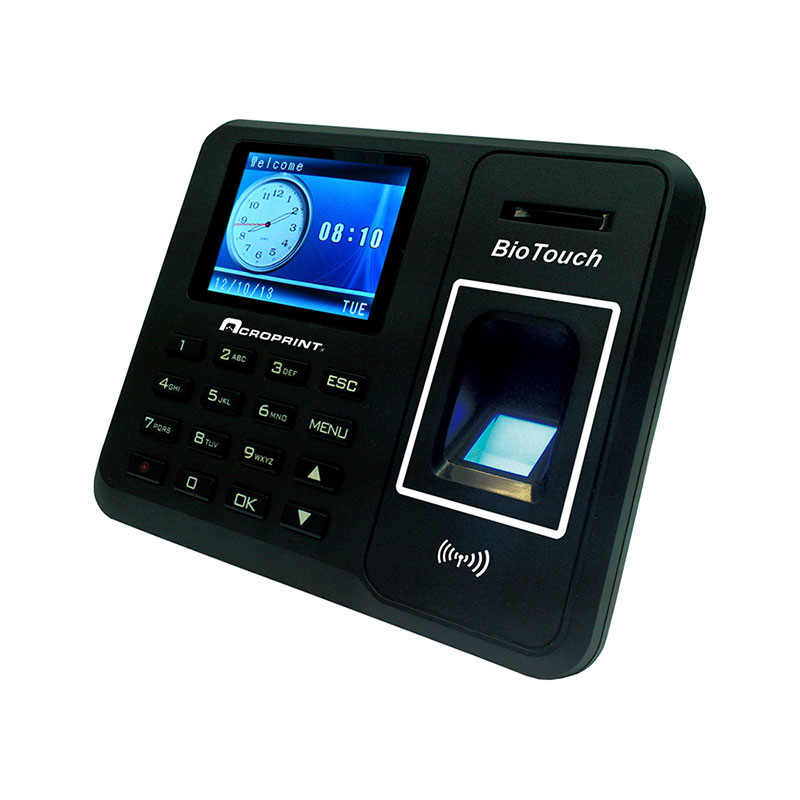 Hygienic, touch-free alternative to fingerprint readers. Protection against fraudulent check-ins and check-outs. Facial recognition is a unique feature, but is it absolutely necessary for your small business? Probably not. 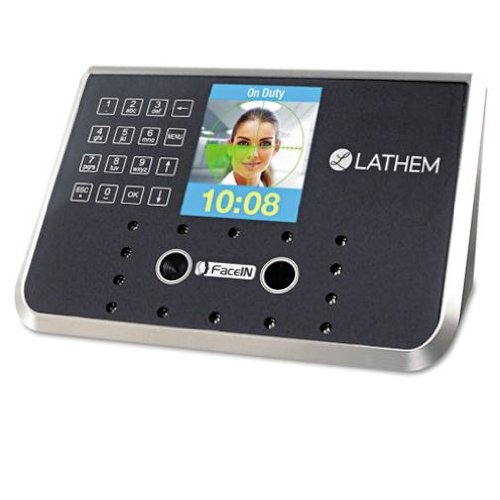 The Lathem FR650 does streamline the back end when it comes to employee work-hours calculation, but it does nothing to reduce the time spent scheduling and verifying that employees worked when they were supposed to. Only one solution helps you schedule employees, track their work hours, and prepare all that information for payroll. The time clocks on this list are good at what they do, but none of them make your work life easier than Sling. 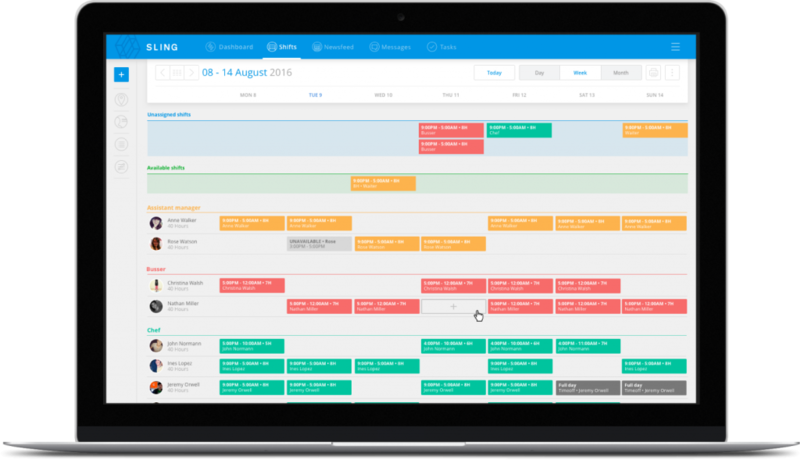 Sling is designed as a full-service employee management system. With powerful tools for scheduling, work hour tracking and payroll calculation, Sling truly is your one-stop solution for managing one employee or 1 million (or more) employees. The Sling Shifts feature contains all the intuitive and time-saving tools you’d expect from an app that’s dedicated to scheduling. The Sling AI provides guidance, suggestions, and minute-by-minute time-off requests and availability. Sling even notifies you if you’ve overlapped an employee’s shifts or double-booked. The Sling Time Clock feature allows your employees to clock in and out for their shifts at a central computer, or even right from their phones. Concerned about early clock-ins? Set up a geofence to prevent employees from punching in and out before they’re supposed to. 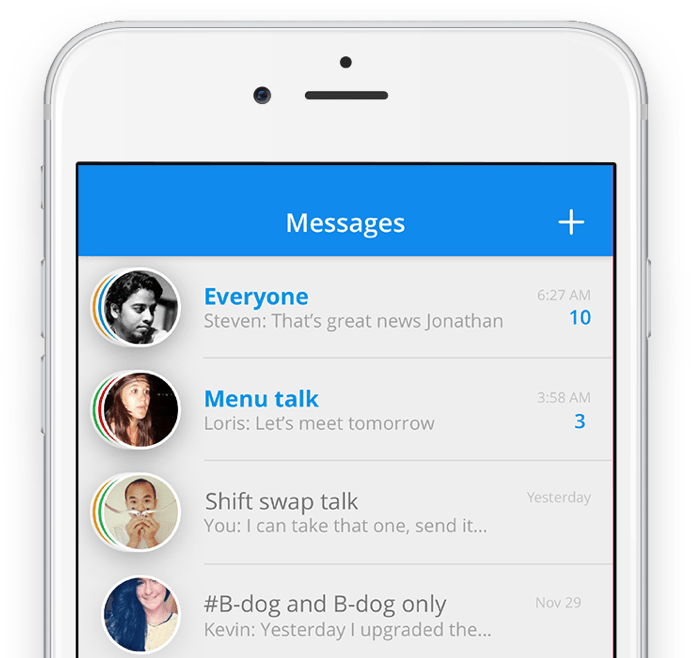 The Sling Messages and Newsfeed features make communication teammates a breeze. There’s no need to rely on phone calls, email, or other third-party app to stay in touch. You can communicate directly with your employees (and your employees can communicate with you) on Sling through push notifications and various messaging categories. Share files, photos, videos, and links with everyone, or just one person. That’s powerful communication that won’t keep you chained to your desk all day. The Sling Tasks feature allows you to assign jobs to individuals or groups and follow their progress. Tasks lets you create to-do lists and share them by name, group, location, or position. You can even set due dates and send reminders as deadlines approach. Sling truly is a start-to-finish employee management solution. It goes above and beyond every other time clock for small business by solving the issues that impact your employees on a day-to-day basis. Stop trying to make multiple scheduling, time-tracking, and payroll programs work together. Get the one app that does it all. Get Sling.